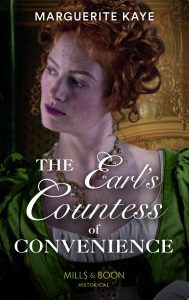 Part of Penniless Brides of Convenience: Eloise Brannagh has witnessed first hand the damage unruly passion can cause. Yet she craves freedom, so a convenient marriage to the Earl of Fearnoch seems the perfect solution! Except Alexander Sinclair is more handsome, more intriguing, more everything than Eloise anticipated. She’s set her own rules for their marriage, but her irresistible husband might just tempt her to break them!